Be it a quick bite to eat on your lunch break or a full-fledged gourmet dinner with loved ones, Mandeville, LA is brimming with opportunities to try good food. Not sure where to start? Volkswagen of Mandeville has you covered! Check out our suggestions for some of the best restaurants in Mandeville, LA. In the mood for a world-famous burger? Times Grill is the place to go for chargrilled, specialty, and premium burgers, as well as other comfort foods like sandwiches, wraps, soups, and salads. They also have entrées like Big Times hamburger steak, Creole crawfish pasta, and red beans and rice. Location: 1896 N. Causeway Blvd. Designed by Chinese and American architects, Trey Yuen Cuisine of China resembles a modern-day Chinese palace surrounded by koi ponds, gardens, waterfalls, and pagodas. Looking for a great spot for a date night? Order their dinner for two for $39, which includes a choice of two entrees. Location: 600 N. Causeway Blvd. Offering a beautiful view of Lake Pontchartrain, friendly service, and a mouthwatering menu, The Lakehouse is a must-try for any occasion. Try The 1840 Supper, which includes a choice of soup or salad, Hereford fillet or Gulf Fish of the Day, and a white chocolate bread pudding a la mode. Open seven days a week, Lago is a Mexican restaurant in Mandeville, LA with a newly redesigned and easy-to-read menu. Favorites include spicy devil’s shrimp tacos, mahi-mahi, and molcajete served in a stone bowl with grilled ribeye, chicken, jumbo shrimp, pineapple, cactus, and more. Sake Garden offers a comfortable and relaxing atmosphere that’s perfect for a casual meal with friends or family. Whether you’re in the mood for a house special roll, sushi, or sashimi, you’ll love the fresh ingredients and flavorful combinations at Sake Garden. Be sure to try their mochi bonbons! 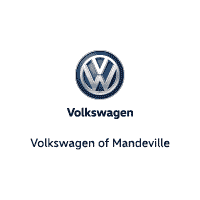 Learn More About the Area from Volkswagen of Mandeville! Whether you’re searching for the best restaurants near Mandeville, LA, or other things to do in the area, the staff at Volkswagen of Mandeville has great suggestions! Contact us to learn more about our dealership and community involvement.